Hello and Welcome to the first ever Giveaway that has been organised by us here at TheDroidGuru. This Giveaway has been organised by us as a celebration of the fact that thedroidguru.com now has 300k Active readers monthly. It’s is very difficult for us to choose between top 3 guys, but the winner is randomly selected.We at TDG are thankful to few guys like Kanav, Jagdish and Drishti.As they have contributed to the site in different ways. If we have some extra devices, we will definitely send them to Kanav and Jagdish. We will try our best to arrange some giveaways (small ones like chromecast) in coming days.Stay tuned for that.Thanks everyone for participating and congratulation to the winners. Update (17 August 2017): We are seeing many guys are participating in this giveaway and they are also helping others in the comment section.So we will be giving away 2 10$ Giftcards to the most active commenters.That will also be declared with the giveaway winner announcement. The storage options of the smartphone contain 8GB of RAM and 128GB of internal storage which is not expandable further. The OnePlus 5 runs the latest version of Android, the Android 7.1.1 Nougat, and the smartphone comes with OnePlus’ custom skin on top of Android known as OxygenOS. The smartphone has a battery capacity of 3300mAh which is not removable. The smartphone comes with two colour options: Slate Grey which comes with 6GB/64GB storage option and Midnight Black which comes with 8GB/128GB storage option(which we are giving away). 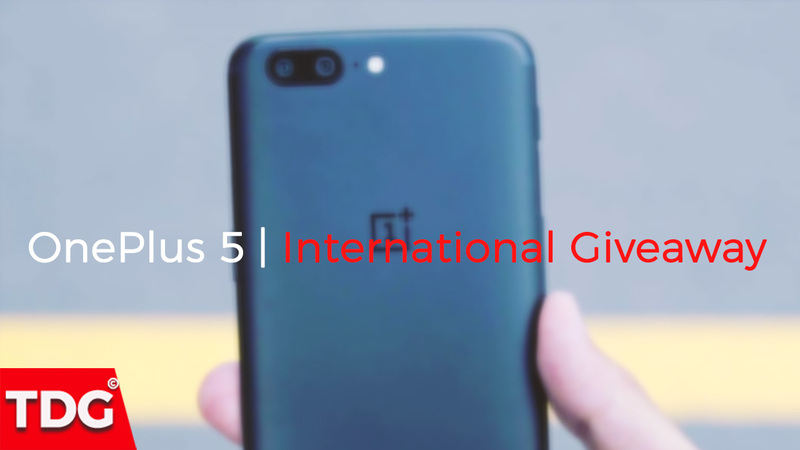 This is an International Giveaway of 128GB Variant Of OnePlus 5.We have bought it from Amazon India.To take part in this giveaway you have complete the actions mentioned and each of your action will bring you some points. Remember, higher points means higher winning chances.  Comment on this post and other OnePlus 5 Posts to enter.  Be active in the comment section to higher the chances of winning.  Share links on social network sites. Note: We will track all the activities of our readers and after following us on social media tag us for the confirmation.Don’t spam the comment section, only share relevant ideas related to OnePlus 5. The giveaway is currently going on and will end on 30th of August 2017 (11 PM IST).A RANDOM Winner will be chosen between the higher point holders. We will declare the winner here, in the comment section, on our social networks. With virtual desktop hosting from CloudDesktopOnline , you can work on any device no matter where you are. For cloud related business software such as SharePoint, Office365, try Apps4Rent. Abhishek Jariwala is a technology writer and editor whose expertise lies in writing news and review articles. He is a software engineer from Surat and is currently using a OnePlus One.